Batman: Arkham City, developed by Rocksteady Studios and published by Warner Bros. Interactive Entertainment, is the follow up sequel to 2009’s smash hit Batman: Arkham Asylum. This Batman game has a new open world setting with a few gameplay changes and additions. There is a large amount of content in this game with side missions, more Riddler trophies, alternate characters, and the return of challenge rooms. This isn’t without fault as this experience does suffer from some minor technical hiccups, but overall comes together in a nice complete package. If you are a Batman fan, pick up a copy. The narrative starts off with a bang and does not let up. The first minutes of the game are filled with spoilers so the story can only be summed up as such: Batman needs to stop Hugo Strange before he enacts his secret plan that will spell certain doom. The game has a breakneck pace that makes you feel like time is your constant enemy. This is implemented quite well with Hugo Strange counting down the hours you have left and calls from The Joker and Alfred telling you to hurry up. 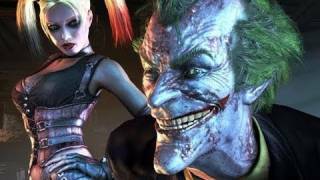 There is also a large cast of Batman villains that make up the side quests. These villains range from fan favorites (Joker and Two-Face) to some lesser known villains like (Dead Shot and The Mad Hatter). All together this tale brings you in and doesn’t let go until the final cut scene. This experience if full of content that gives it quite a bit of breadth and replayability. 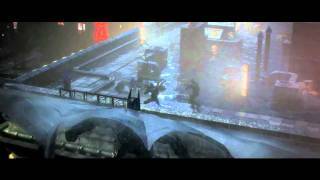 Unlike Arkham Asylum, Arkham City has a large open world hub that lets you travel from area to area with an improved glide system with tasks littered along the way. A large portion of the gameplay still takes place indoors and is very reminiscent of Asylum. Outside of the main story you can engage in a variety of various side missions and optional objectives. These side missions are quite lengthy in their own right being self-contained stories on par with the main plot. Augmented Reality Training spots are also littered along Arkham City’s large map helping you hone your flight skills. Riddler trophies make a comeback and are harder than ever rewarding exploration and back tracking. If you are willing to pay a few dollars, there are DLC characters in the form of Catwoman and Nightwing, with their own stories, missions, and combat styles that mix up the gameplay. Challenge rooms return with varying enemy types, enemy configurations, and scenarios that need to be completed for a high score. These challenge rooms are unlocked as you complete more of the side missions and Riddler trophy objectives. There are also various difficulty levels and a new game plus mode that lets you battle against new enemy formations resulting in a much more challenging experience. 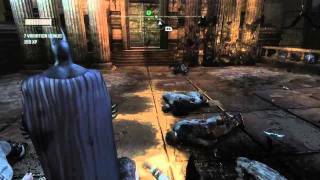 Batman: Arkham City is full of content and replayability, this time around, resulting in quite a few hours of enjoyment. Waiting till PC version in November! Batman: Arkham City is ranked #38 out of 1434 total reviewed games. It is ranked #6 out of 112 games reviewed in 2011.